Remember when I showed you this sneak peek? 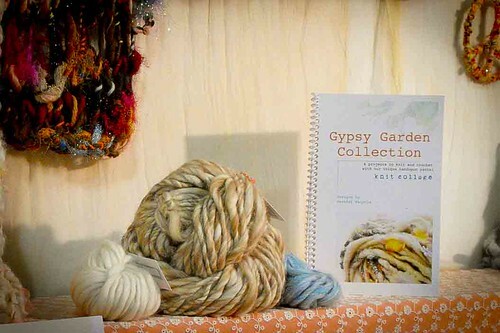 Well here it is, the Knit Collage Gypsy Garden Collection pattern booklet and I had the pleasure of designing it! I worked with Knit Collage to design a line of six fun and easy patterns using their Gypsy Garden yarns. 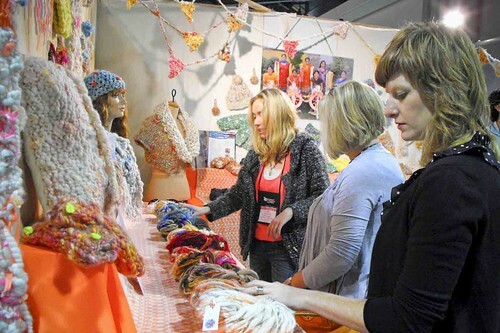 The booklet debuted at TNNA 2011 and will be in yarn stores very soon! 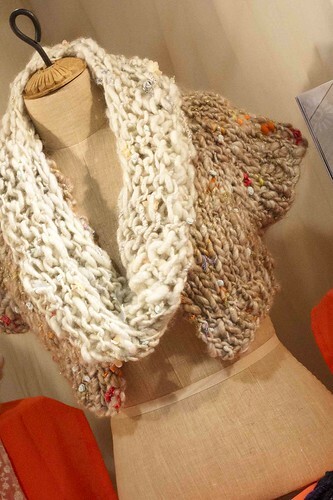 Here's the Tinkerbell Mobius Scarf worked up in the stardust garland colorway and Kinari Bolero in kinari bazaar. 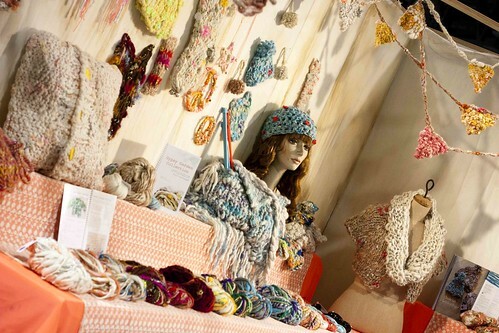 And here in the trade show booth you can spot the Secret Garden Pillow knit in color bubblegum twist and the Bundled Up Beanie Hat crocheted using mermaid café. Tucked into the left corner is the Sweet Pea Baby Sweater knit in emerald rainforest. 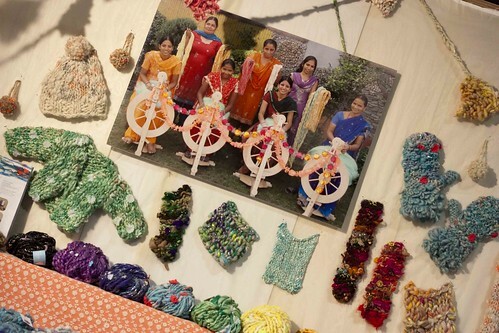 Knit Collage yarns are handspun in India and each skein is a beautiful work of art making each knitted piece unique. The project ideas are endless! I had so much fun creating this booklet, I can't wait to get my hands on some new yarn! 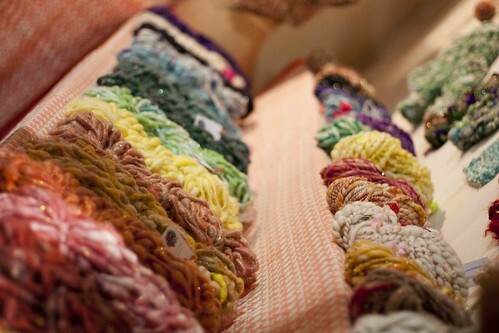 Click here to visit knitcollage.com and see all their amazing yarns and a list of retailers. Happy knitting!